current. As little as 10% lower voltage can cause loss of power and can result in overheating. DEWALT tool is double insulated, therefore no earth wire is required. not play with this appliance. EWALT Service Centre in order to avoid a hazard. injury, only DEWALT, recommended accessories should be used with this product. Wellington, Auckland, New Zealand, call 09 259 1111. Lighting used for greater visibility and cutting alignment during operation. Easy to install. table is designed to accept two work supports; one on each side. 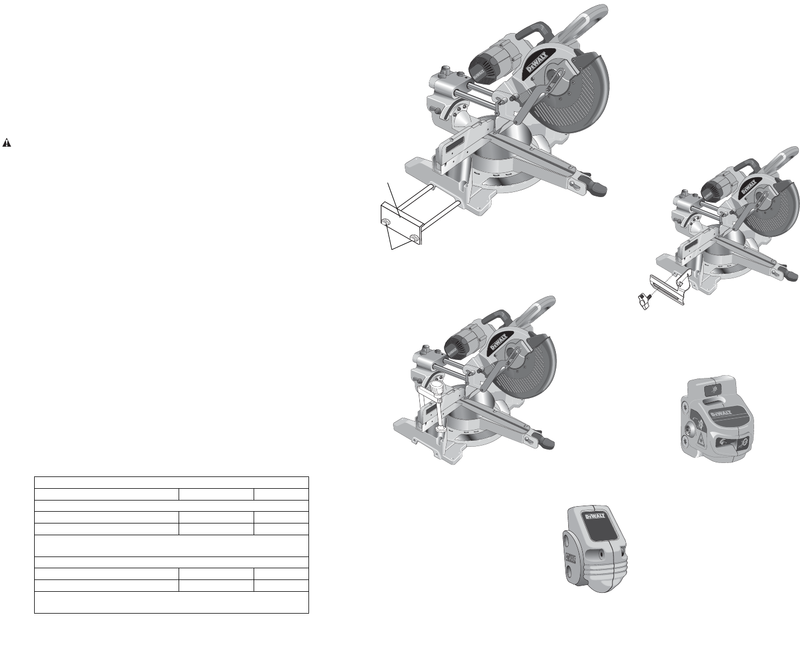 SAW BLADES: ALWAYS USE 254 mm (10") SAW BLADES WITH 15.88 mm (5/8") ARBOR HOLES. blades or blades with hook angles in excess of 5˚.